Lots of Polish people can speak English, although some are shy and hesitant about doing so. This means communication in the office and when socialising is much easier since the Polish language itself is very difficult to learn and speak - though Poles do enjoy it when expats try to pronounce some of the words. Expats will soon find that there is a generational divide when it comes to speaking English. While many young people are very good English speakers, older people do not speak the language as well, so it will help to learn some crucial Polish words just to go about day-to-day life. Also, expats should be wary about using English slang words since they may have to explain or translate them which will lose impact and there may not be a direct translation. When greeting Polish people it is expected to be civil and polite. For a male the expat should use the prefix 'Pan' followed by their surname, while for women the prefix is 'Pani'. This formal exchange will be expected for quite some time before someone can use another person's first name which is generally used for family and friends. Knowledge and using the correct greeting will be of great help and expats should also keep direct eye contact and meet someone with a firm handshake while smiling. Expats who are invited to social gatherings or parties may be surprised at just how formal these events can be. It's very likely that the party host will introduce you to the gathering and they will probably introduce women first and then men. Expats should also appreciate that when they come to leave a party then they may have to kiss everyone there, even if they have never spoken previously, and the process of leaving may be a drawn-out experience. If the expat is taking a gift, for instance for a birthday, then get used to the recipient opening the gift as soon as it's handed over. Do not spend too much money on a gift to prevent causing embarrassment to the recipient. Should the expat be invited for dinner then the traditional gifts of wine or flowers or pastries and sweets will be suitable for the host. A person's telephone number should never be given with flowers. 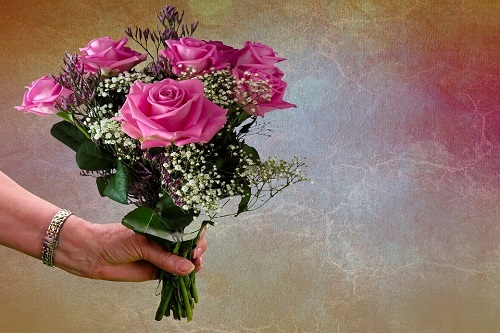 Having said flowers are an acceptable gift, expats should not present a Polish person with red or white flowers, particularly if they are carnations or lilies, and nor should they present yellow chrysanthemums. Also, remove the flowers from the paper wrapping before handing them over. Expats should also be wary of asking 'How are you' - some see it as being too personal and many Polish people will respond negatively. Having noted that greetings and conversations are very formal in Poland, this also extends to business meetings. The Polish style of business is a formal one and can appear to be detached. This means that government officials, for instance, appear to remain aloof and seem to be expecting a high level of formality, but a growing number of entrepreneurs in Poland means this rigid sense of formality is declining. A good idea is to follow a colleague's lead whenever attending a business meeting to understand and appreciate the tone of it. An expat should firmly shake hands with everyone upon arrival and when they leave, and maintain eye contact throughout business dealings. Don't forget that titles are important in Poland, particularly for professionals and academics, so if they have a title use that followed by their surname. As with informal meetings, expats should not really use another person's first name unless they make a specific request for you to do so. Expats should also have business cards that have one side translated into Polish. These are handed over without any great ceremony though it is important to include job titles and qualifications, particularly a university degree. Expats may take some getting used to the honesty in the way Polish people communicate within business meetings, since honesty itself is highly valued. Poles tend to say what they think in a diplomatic way, but it is a direct approach. It helps that Polish people are very polite and expect others to be as well. As with personal relationships, a business relationship will dictate how direct someone will be and how direct they expect the expat to be as well; the longer the relationship, the more freely someone can speak within a business meeting. Expats should also appreciate when they are in a business meeting that there appears to be lots of small talk before the actual meeting begins, but this is a way for the Polish counterparts to size up the expat and they won't rush proceedings initially. For citizens who are living in a European Union member country then they do not need a work visa to work in Poland and finding a job is a straightforward process; there's a particular demand for native English speakers in most of the country’s leading industries. These include the car making industry and the food-processing and finance sectors are very large too. Expats will find lots of opportunities in the growing sectors of information technology, finance, and business services as well as general management positions. English-speaking expats will usually be paid well if they have the experience and qualifications employers are looking for. However, it should also be borne in mind that unemployment is relatively high in the country while salaries are comparatively low when considered with neighbouring EU countries - this also means that the cost of living is also quite low and expats will get a lot for their money. When moving to Poland, it's a good idea to get a local bank account. Some of the international banks have a large presence including HSBC and Citibank. Expats will also need to register for tax if they are spending more than 183 days of the tax year in Poland. However, the drawback to having a progressive tax system is that Poland charges between 19% and 32% on income but the expat will need to declare all of their worldwide income for tax purposes. When registering for tax, the expat will be given a 10-digit identification number which is also needed for social security payments. This can be applied for at any of the country’s local public tax offices. Expats will find there is plenty of accommodation available in Poland that is inexpensive, though it tends to be rather small. Expats also need to be aware that the low wages being paid to local people means that housing costs for them are relatively substantial and can account for up to 50% of a Polish person's wages in some cities. Most Polish cities will have a large central square with lots of apartment buildings nearby and these will tend to be the most expensive types of accommodation. Expats who look to the suburbs will find larger living spaces and better deals. For instance, expats who can afford to live in the expensive apartments will be paying around 3,000 - 4,000 PLN (£576/$717 - £768/$956) per month for an unfurnished two-bedroom apartment while their utility bills will be between 600 - 800 PLN (£115/$143 - £154/$191). The cost of a furnished two-bedroom apartment will be between 4,500 and 5,000 PLN. Poland has a low cost of living which means that the expat's daily expenditure on food, transport and entertainment will not be high. It is one of the cheapest EU member countries for its cost of living, which was highlighted in the 2016 Mercer survey. They found that Poland's most expensive city is Warsaw which is ranked as the 177th most expensive of the 209 cities they looked at across five continents. Should expats head to smaller cities or to a rural area then they will find the cost of living is much lower than it is in Warsaw. Expats will find that petrol prices are similar to those found around Europe but public transport is cheap to use. There are also some good low-cost airlines operating in and out of the country, with most of the Poland’s major cities having good airports. Eating in restaurants is cheaper than in many other countries but expats will find that imported goods will be even more costly than they are to find in London and Paris, for instance. Polish goods are reasonably priced. Expats should also bear in mind when ordering water in a restaurant that they may be asked whether they want water with gas or not - it's just the Polish way of asking whether they want carbonated or still. It must be said that the Poles enjoy their holidays; anything of one week or less is not considered to be a vacation. A normal summer holiday for a Polish person is between two and three weeks. In addition, long weekends are also taken seriously and many will organise plans for these short breaks, particularly with families. Expats should also organise somewhere to go, though they will probably not be invited to a colleague’s family gathering, but if they don't arrange a holiday they will be asked why. Also, when travelling around Poland, expats may believe that the Poles are unfriendly people because many will not smile at other people on the street. While this may appear to be sad or unwelcoming, most of them really are not. Travelling around Poland will reveal that the Polish people are warm and welcoming though, as mentioned previously, rather formal in their first meetings. It will also soon become apparent that there aren't that many foreigners living and working in Poland so the expat will become something of a novelty wherever they go. Last but not least is the tricky subject of religion. This is a strongly Roman Catholic country and there are lots of churches around to underline this fact. Indeed, this will be something of a culture shock to many expats since Poland is conservative in many regards, and family values and Catholicism dominate many parts of Polish life. This also extends to the political parties and various activities. Have you lived in Poland? Share your experiences in the comments below, or fill in the questions here to be featured in an interview!